The time has come to make changes to your outdated home, but unfortunately for you, although you already have some ideas in mind, the only problem is figuring out how to fund them. Coming up with financing for a home renovation can be a major headache, but it doesn’t have to be. It’s a stressful project to be sure, but there are five creative options for you to get the cash together to pay for your project. This is a great option for those with a solid income and good credit. You’ll likely be able to qualify for a Title 1 loan, which is available even without equity in your home. The good thing about Title 1 loans is the U.S. Department of Housing and Urban Development insures these kinds of loans, so lenders aren’t too worries about the risk. The maximum loan amount is usually around $25,000 for a single family home, and this can be borrowed over a twenty year loan term. Interest rates are fixed too, based on local market rates, with the loan being secured to your mortgage. The only requirements for this kind of loan is that you have to use the money to make alterations, repairs or improvements to your home, and you must occupy the property for at least 90 days after completing your projects. Take a look at these title loans San Antonio for an example of the terms and conditions associated with this type of financing. For those whose home improvement projects aren’t quite so ambitious, a personal loan may be the best bet. Personal loans aren’t secured to your mortgage, which means you won’t risk losing your home through non-payment, but on the downside the interest rates are generally higher. Also, you cannot take advantage of tax deductions on this kind of loan. For those who have especially energy-efficient homes, it may be possible to borrow money from the federal government. Your home has to meet certain energy-efficient standards though, and someone will likely pay you a visit to ensure it does. Once your home has been verified as meeting these standards, you can borrow against the cash you would likely save on energy bills to finance improvements to your home. Some larger contractors offer in-house financing options to their customers. This is one of the simplest ways to make improvements to your home. Contractors can sometimes be more flexible for those with lower credit ratings, however they can also charge more interest on their loans, so the terms may not be so beneficial to you. 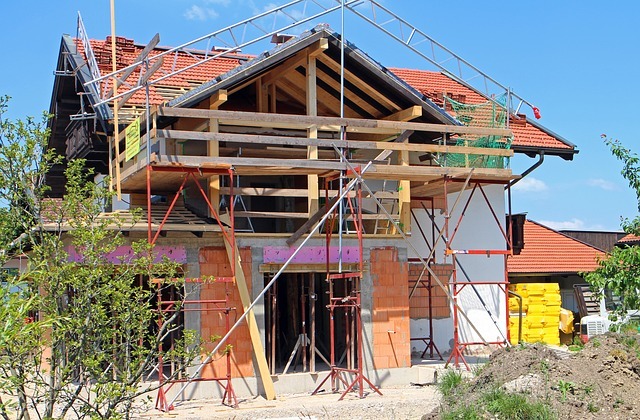 You may be entitled to certain state income tax credits or rebates that can be used to help finance a home improvement project. Many states offer rebates or credits to citizens who’re going to use the money to make energy-efficient improvements, for example by adding a new roof, special windows, doors, skylights and so on. In this kind of program, you have to meet certain requirements before being able to obtain a refund after the project is completed. When it comes to funding home improvements, there are a range of financing options for those who’re prepared to be a little creative. Be sure to check all your financing options before launching any project, and choose the one that’s most cost-effective for you.